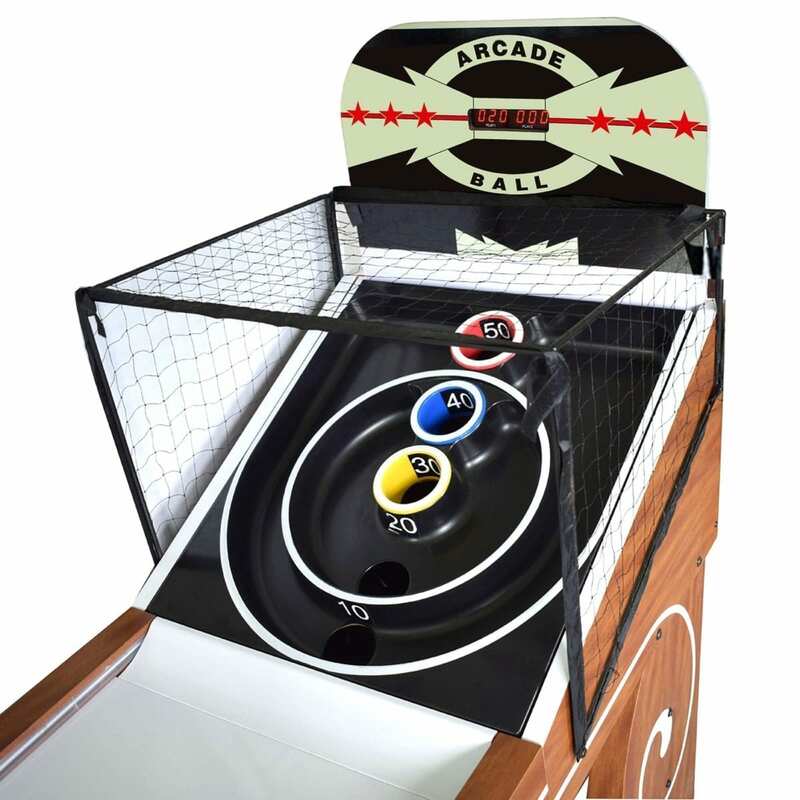 The Boardwalk 8-ft Arcade Ball Table is a classic arcade and carnival mainstay. 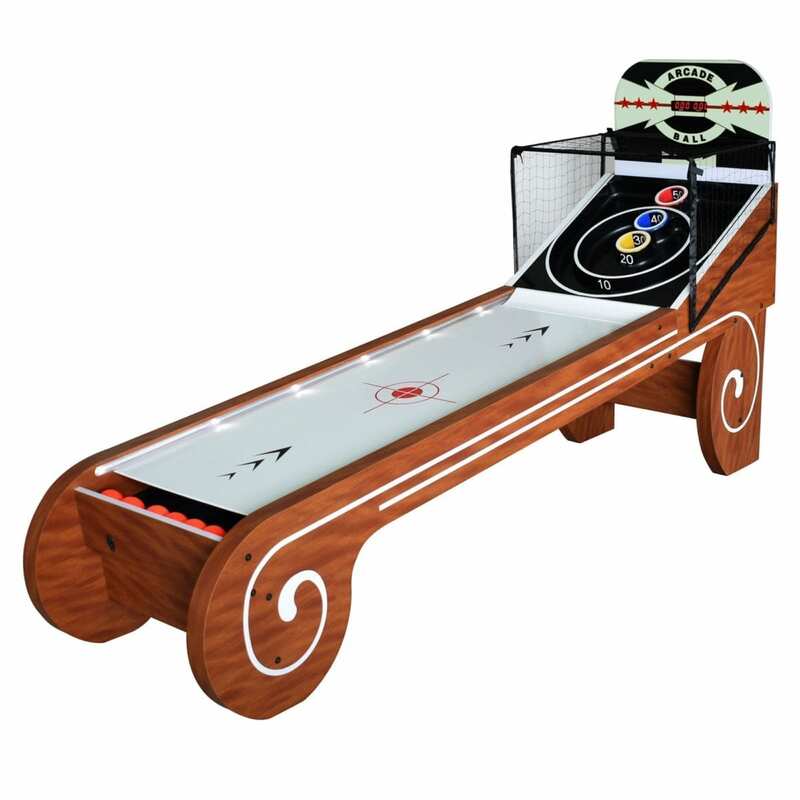 Crafted from CARB certified MDF material designed to withstand the most vigorous table play. 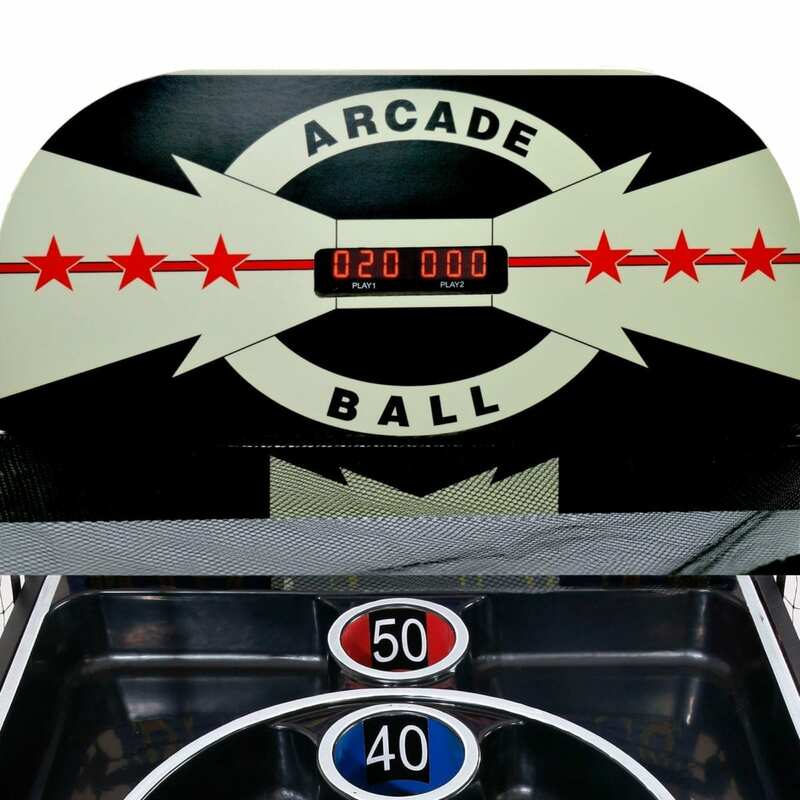 The cabinet is covered in a handsome retro looking oak melamine material and features durable ABS molded catch rings, authentic arcade style playing surface with built-in LED side lighting, and target guides to keep you in the winning zone all night long. 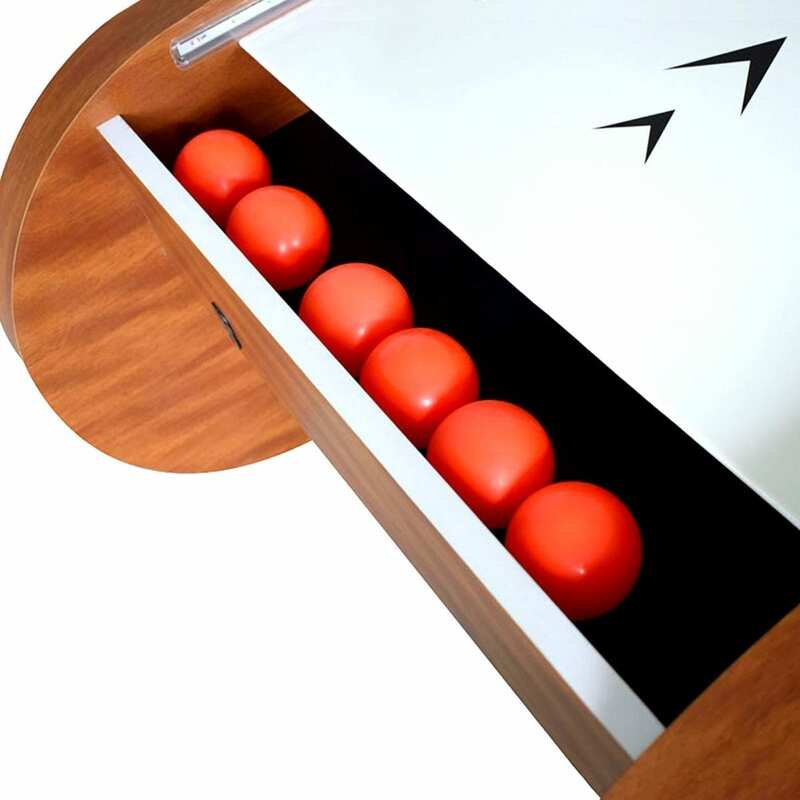 The electronic scorer, with built-in sound, keeps a running tab on who is winning, heightening the level of competition. A safety net encloses the target board to keep balls in play while protecting spectators and furniture from the occasional miss-roll! 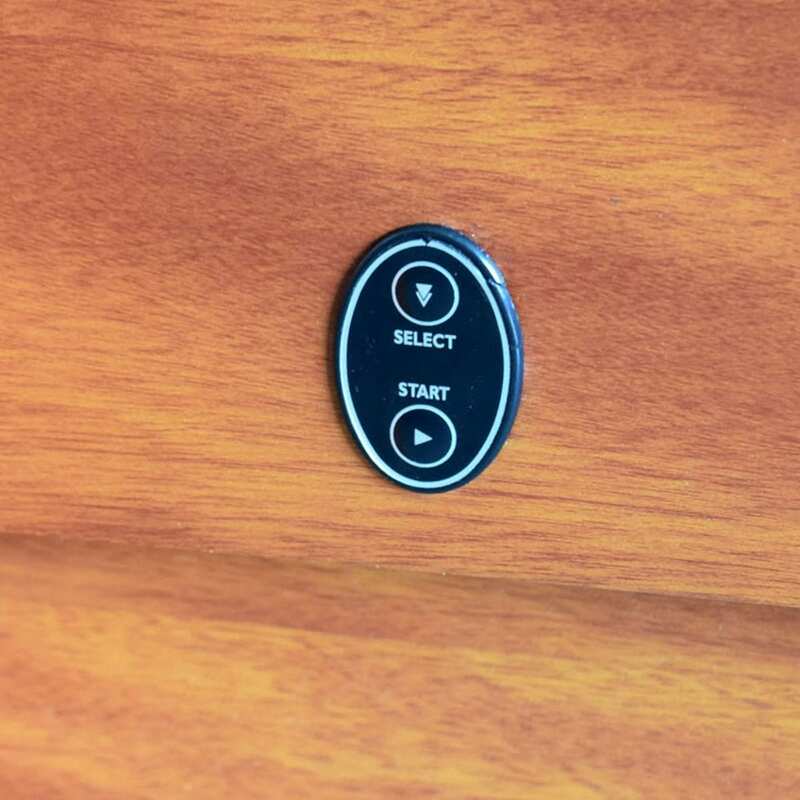 The built-in front on/off switch makes it convenient to start and stop as you like. 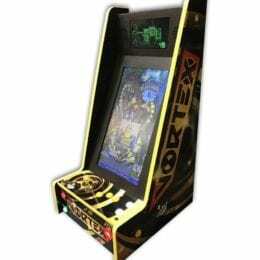 A classic arcade game that will bring back old memories while creating hours of new fun and enjoyment! 180-day limited warranty. 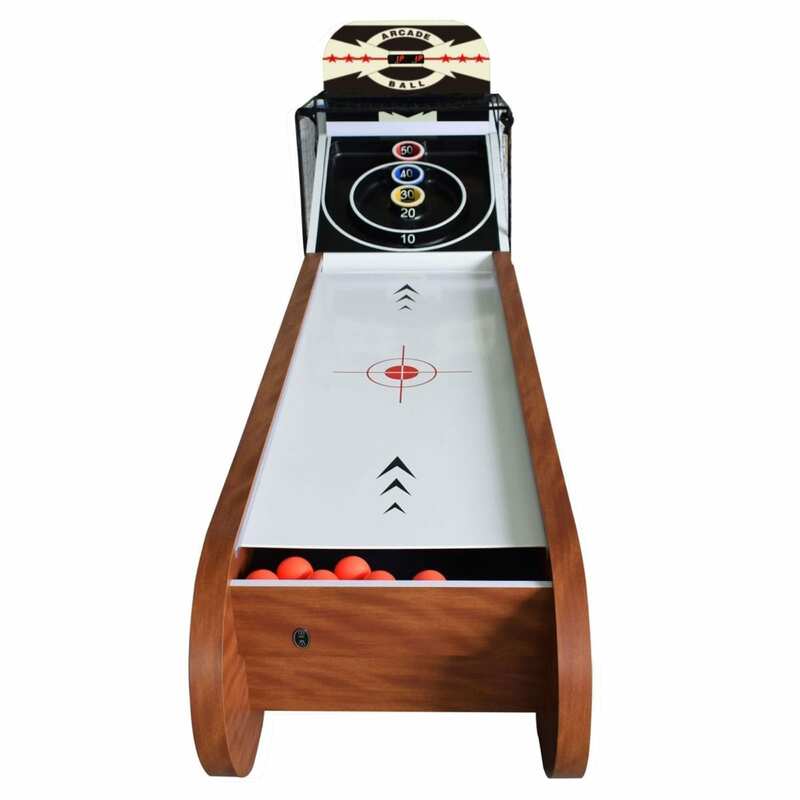 FUN FOR THE WHOLE FAMILY – Enjoy classic arcade ball in your game room or office with this handsome table from Hathaway. Kids will love its smooth play and competitive two-player mode. 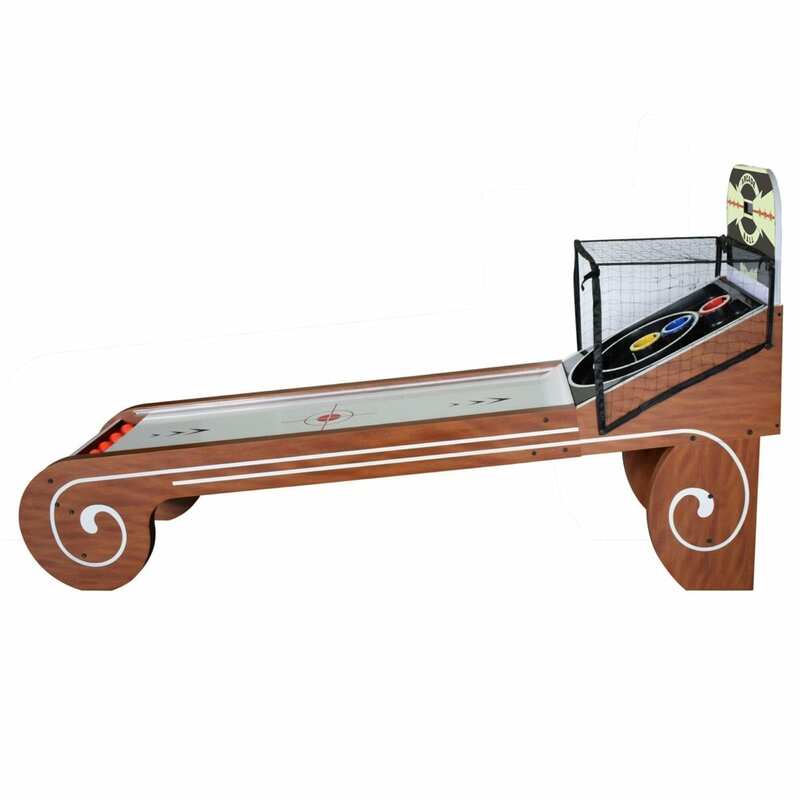 Adults will love its vintage look and durable construction. STUNNING DESIGN – The Boardwalk’s gorgeous cabinet features a rich, oak melamine surface that is sure to delight the eye. 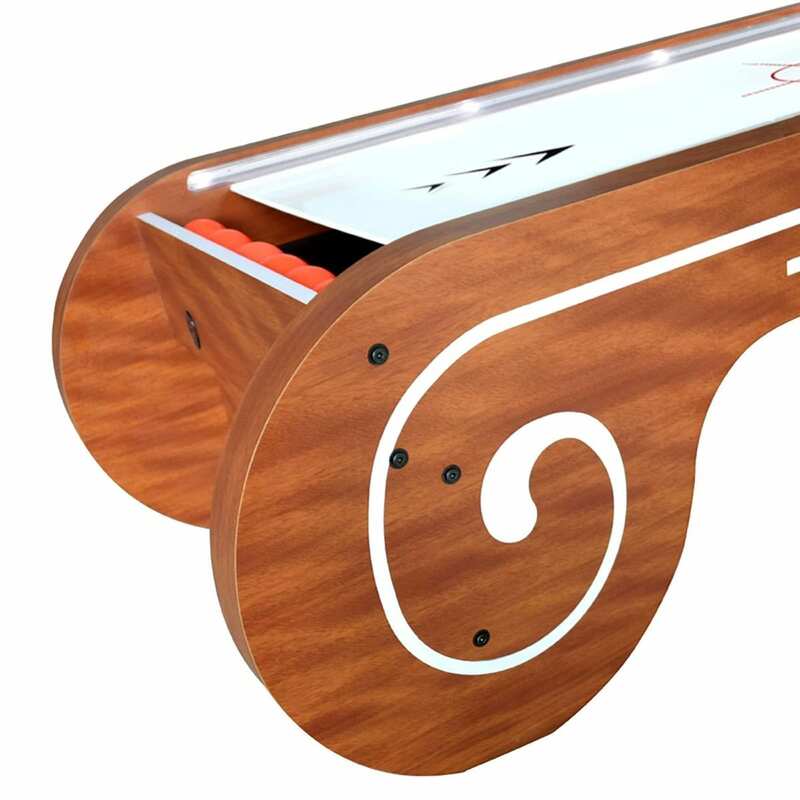 Its high-gloss playfield features LED side lighting and sleek, modern targets. Digital sound effects add a vintage touch. BUILT TO LAST – Quality, engineered wood construction ensures long-lasting durability and stability. The Boardwalk’s high-quality net ensures that balls stay in play, keeping the fun rolling at a crisp, competitive pace. 180-DAY WARRANTY – Your table comes with a 180-day manufacturer warranty. We promise that it will arrive damage free with all necessary parts and accessories. Otherwise, we’ll send replacement parts or an entirely new table at no cost to you. 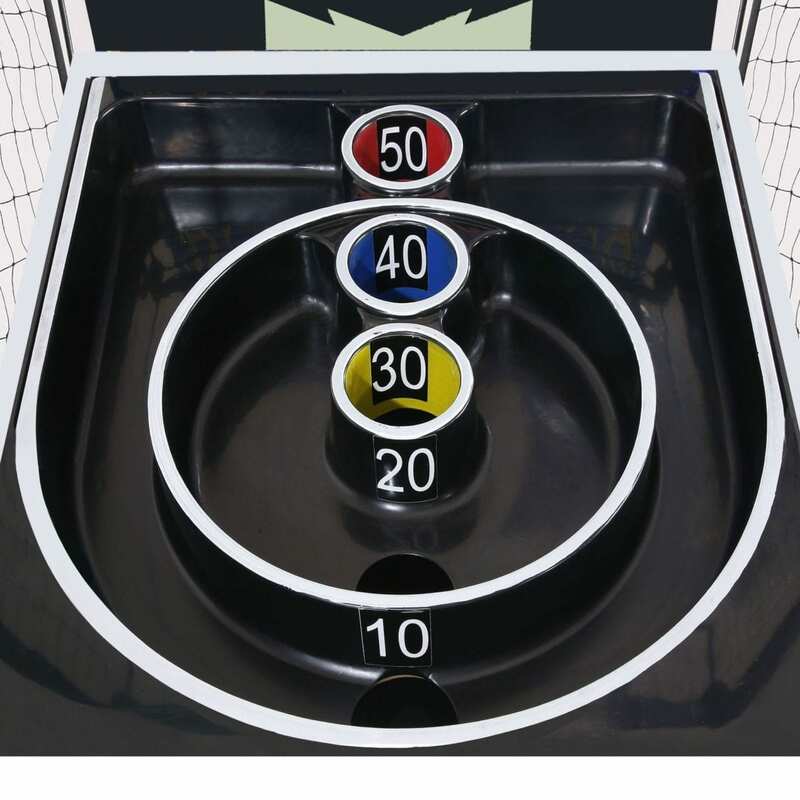 DIMENSIONS – Playing surface: 63-in L x 21.25-in W; Table dimensions: 99-in L x 25-3/4-in W x 53-in H.